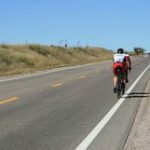 To help cyclists plan their routes, the map includes information on shoulder widths, grades and traffic volumes for the state highway system. It has links to resources on laws and policies, local bicycle paths and U.S. Bicycle Route 90, created in 2015 to span 573 miles between Arizona’s eastern and western borders and connect to a national network of bicycle routes. In addition to PDF versions with statewide and regional views, there now is an interactive version compatible with iOS and Android mobile devices. Users can click on lines and icons to see where there are frontage roads, extreme grades, narrow bridges and places to visit such as state and national parks, trailheads and rest areas. They also can get contact information for resources such as local chambers of commerce. 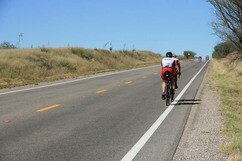 A 2013 ADOT study showed Arizona is a destination for out-of-state bicycling enthusiasts due to its weather, newer infrastructure and scenery, among other factors. It found that bicycle tourists contribute more than $88 million annually to the state economy. Michael Sanders, ADOT’s bicycle and pedestrian program coordinator, said producing the mobile-friendly map involved reviewing feedback from constituents and researching how other states offer information for bicyclists. The map was produced in collaboration with the Arizona Office of Tourism and Arizona Council for Enhancing Recreation and Tourism. To learn more, visit AZBikePed.org and click on Arizona Bicycle and Pedestrian Maps. To request a free copy of the Cycle Arizona Bicycle User Map, call 602.712.8141 or send an email to azbikeped@azdot.gov.